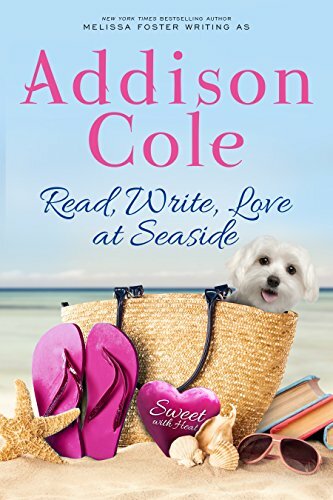 Read, Write, Love at Seaside by Addison Cole is the sweet edition of New York Times bestselling author Melissa Foster's steamy romance novelRead, Write, Love. The stories and characters remain the same, and convey all of the passion you expect between two people in love, without any explicit scenes or harsh language. A fun beginning. Great expectations for a great series. If you enjoy fun, witty, clean romance with just a little sizzle you'll enjoy this one! A great short fast read. Leanna and her dog out of the sea! I am glad to have been given the opportunity to read this edition. I am looking forward to reading more in this series. I received a complimentary copy from Tasty Tours.